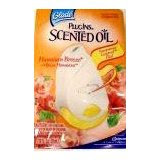 This week Glade Scented Oil Wamers are on sale Buy One Get One Free. Use the Buy One Get One Free Coupon from 8/24 Smartsource to get 2 free. Buy them on August 29 or 30 and they will qualify for September's rebate of $1 on each. This way you can make $2 for every two that you buy (with a limit of 4 rebates total). Be sure to check out all the other deals for Walgreens here! There was also a coupon in the past that expires on 9/12/08 $4/1 Scented Oil Warmer, Can I use this coupon as well or since the manny in 8/24 was for 2 (B1G1) I wouldn't be able to use it? be sure to check out my website to get more great ideas and free baby samples.